Memorial Day weekend is a week away, but why wait to grill? Any weekend (or any night, for that matter) is a good excuse to fire up the Weber. 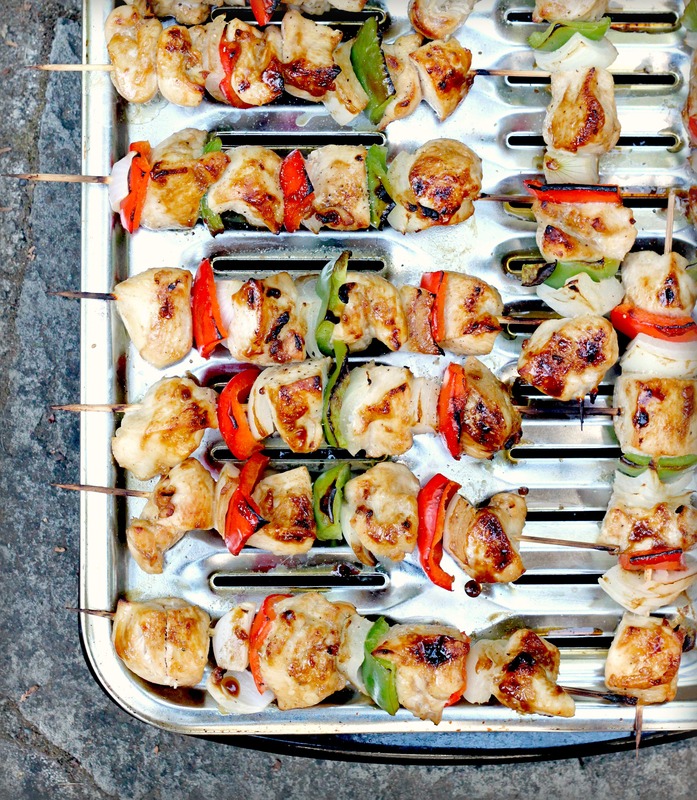 I made these skewers to feed a crowd, but the following recipe will generously feed a table of four. A Middle Eastern inspired pomegranate marinade infused with aromatic spices tenderizes and flavors the chicken, which is best left to marinate overnight. If you don’t have time for that, then 4 hours will do. 1. Whisk the marinade ingredients in a small bowl. Set aside 1/4 cup for basting. 2. Cut the chicken into 1-inch chunks. Place in a large bowl. Add the marinade and stir to coat. Cover and refrigerate for at least 4 hours or overnight. 3. Prepare the grill for direct cooking over medium heat. Thread the chicken on skewers alternating with onion pieces and peppers. 4. Grill over direct medium heat until nicely charred and chicken is thoroughly cooked through, turning as needed, 8 to 10 minutes, basting halfway through the cooking process with reserved sauce. 5. 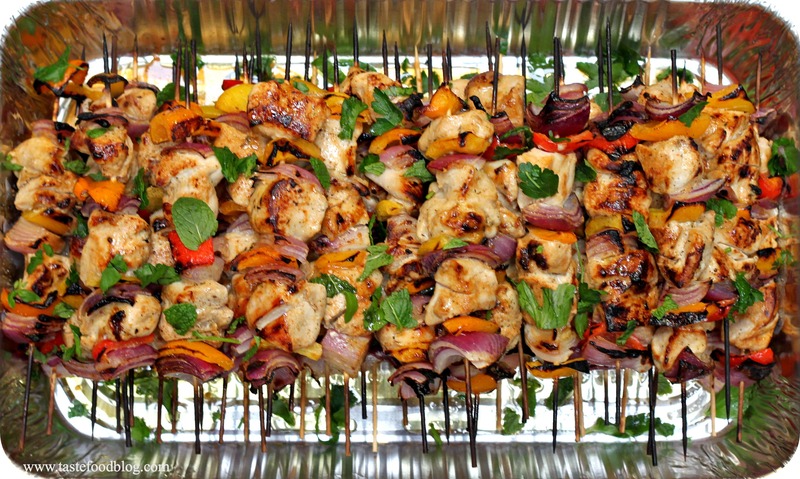 To serve, pile the skewers on a serving platter. Drizzle with olive oil. Season with extra salt and pepper if desired. Garnish with fresh mint and parsley leaves. 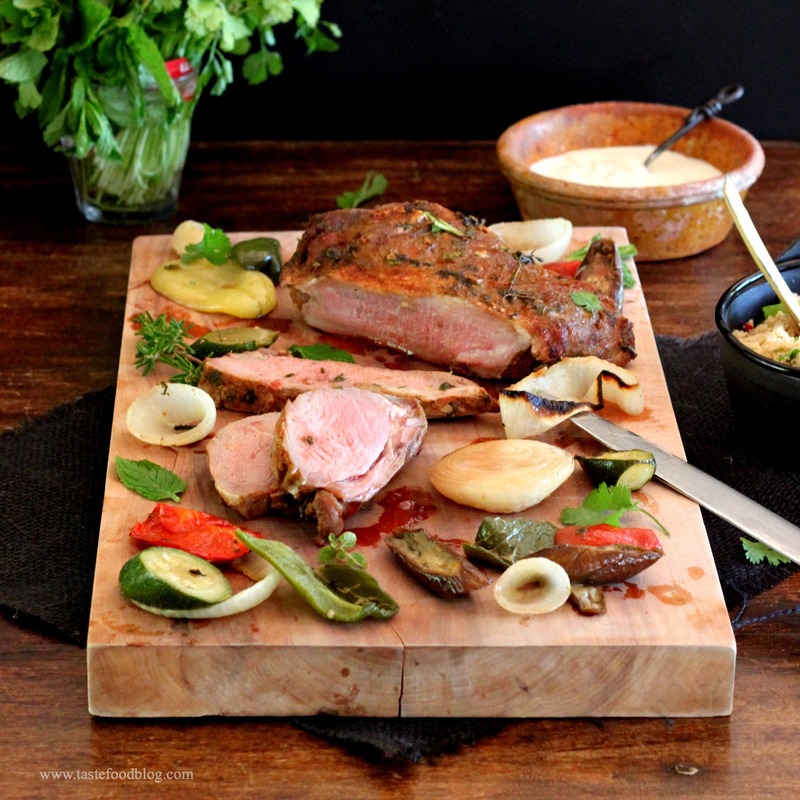 In honor of Easter – and Spring – I share a recipe with you for grilled lamb with 2 marinade options. Normally I smear my lamb with a heady concoction of North African spices, which is not your traditional Easter roast, mind you, but more like Easter on holiday – a spring fling for serious bouts of wanderlust. The other marinade is more traditional with olive oil, mustard and rosemary. Either way, the method remains the same. It’s best to let the lamb marinate for as long as possible, preferably overnight – or at least for 6 hours. Season the lamb with salt. Whisk the Dijon or the North African marinade ingredients in a small bowl. Make small incisions in the fat and meat of the lamb. 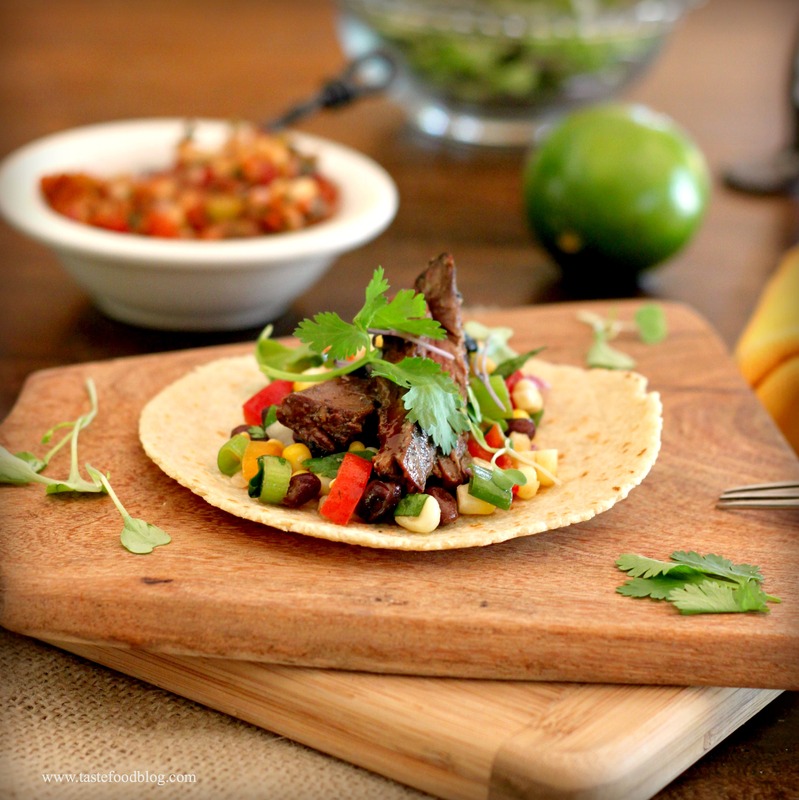 Rub the marinade all over the lamb, massaging it into the meat and folds with your fingers. Place the lamb in a rimmed baking dish. Cover tightly with plastic wrap and refrigerate at least 6 hours or overnight. Weekends are made for grilling, and this weekend was no different. 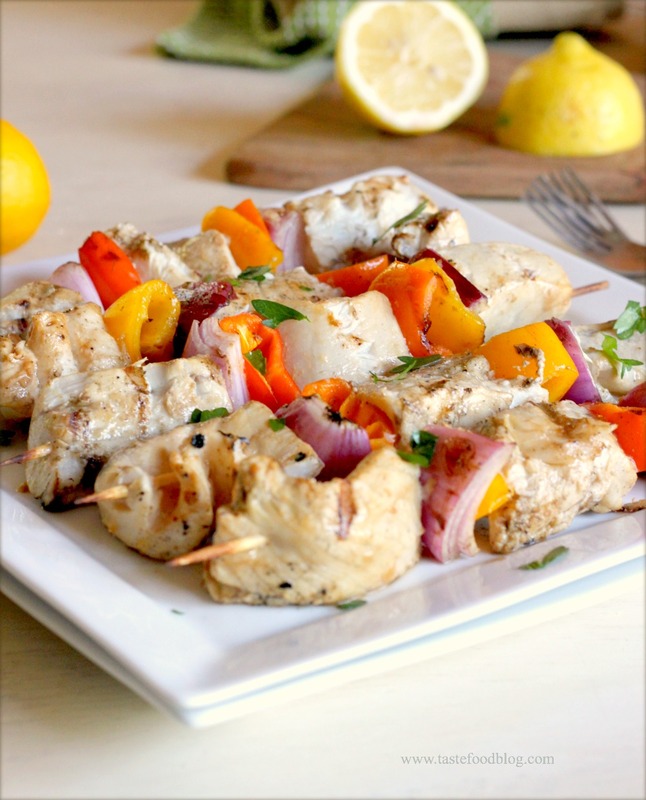 On the menu were these fish skewers with chunks of barramundi, sweet peppers and red onion. I’ve been having some fun with barramundi lately, generously provided by the folks at Australis who are raising barramundi in some of the world’s most innovative fish farms located in Massachusetts and Vietnam. Australis is considered to be a pioneer in the use of close-containment farming (systems that are considered the “gold standard” for sustainable aquaculture). Their greener way of farming has been recognized by leading environmental organizations, including Monterey Bay Aquarium’s Seafood Watch Program, Environmental Defense, and Blue Institute, while their Smart Aquaculture practices have earned Australis the prestigious “Seafood Champion Award” by Seafood Choices Alliance. It’s no wonder they refer to their product as The Better Fish. I enjoy the mild and buttery flavor of barramundi, and now I can attest to how well it holds up on the grill. I used my favorite go-to marinade to coat the chunks of fish. Its secret ingredient is grated onion which adds a sweet and tangy depth of flavor that enhances the barramundi without overpowering its mild flavor. 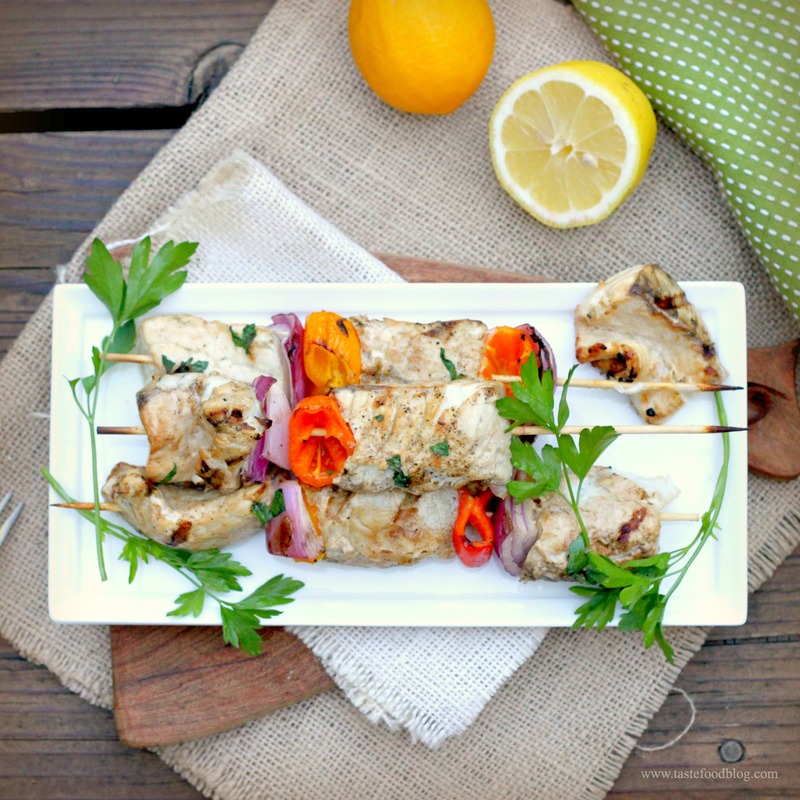 This marinade works well with most firm-fleshed fish, including swordfish, halibut or salmon. Serves 4 to 5. 8 bamboo skewers, soaked in water for at least 30 minutes or metal skewers. Whisk the marinade ingredients in a large bowl. Add fish and gently turn to coat. Cover and refrigerate 1 hour. Prepare grill for direct cooking over medium-high heat (or preheat oven broiler.) Thread fish on skewers, alternating onion and peppers. Grill over direct medium-high heat, turning, until fish is charred and just cooked through, about 8 minutes. Arrange on a platter and garnish with parsley sprigs. Australis’ barramundi is currently available in Northern California Costco stores. If you live elsewhere, check out the Australis Facebook page for your nearest retailer, updates and news on Australis Barramundi. 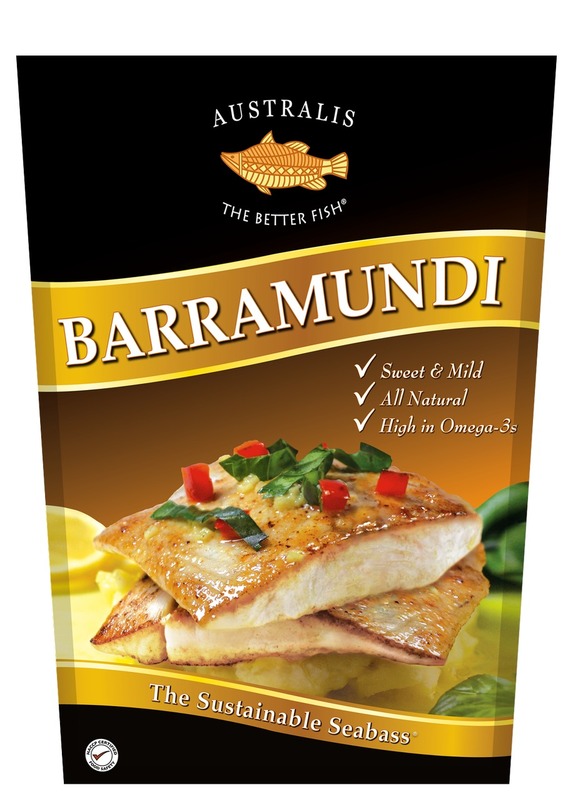 Disclaimer: Australis provided me with a free sample of Barramundi for review purposes, and I am being compensated for this post via the NoshOnIt Partner Publisher Program. My opinions are entirely my own.